The 2011 Torch Classic in Houma found current and former BP employees participating in a weekend of competition, fellowship and rewarding charity activities. 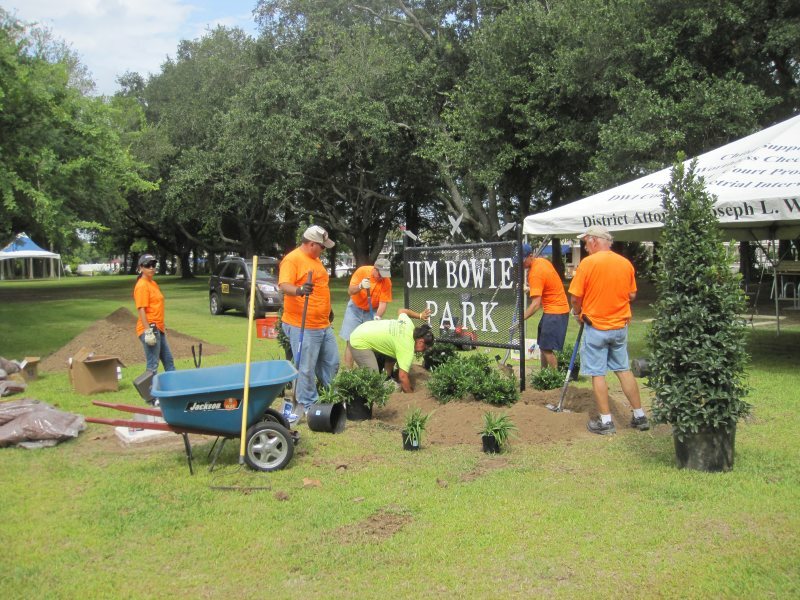 Volunteer Day included projects at two venues — Jim Bowie Park in Houma and Barataria-Terrebonne National Estuary Program at Grand Isle, Louisiana. The efforts of Torch Classic Volunteers were mentioned in a recent article in Houma Today about the revitalization of Jim Bowie Park. View photos from the Volunteer Day activities in our 2011 Torch Classic Gallery. We will add more pictures as they become available. If you have photos from the 2011 Classic that you would like to share with others, please contact us and we will make arrangements to get them from you and post them on the website. Also, if there is a photo that you would like to have a copy of, we can send you a high resolution version suitable for printing. Just contact us.